The True 540 HRC features the finest belt and deck combination in the market to give you the smoothest and most silent treadmill experience. 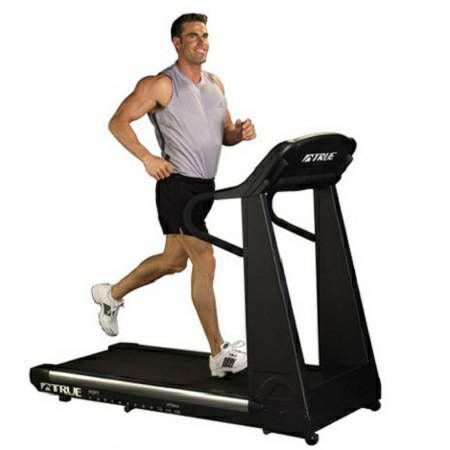 If you're looking for a heart rate controlled treadmill with great cushioning then this is the model for you. This model boasts heart rate controlled (HRC) workouts. It has 5 custom time-based and 2 custom interval based heart rate files to give you lots of flexibility in your HRC run. Other heart rate features include a Cruise Control program which allows you to jump from any preset or manual workouts into an HRC workout, and Express Command Keys for simple access to any custom workout programs. 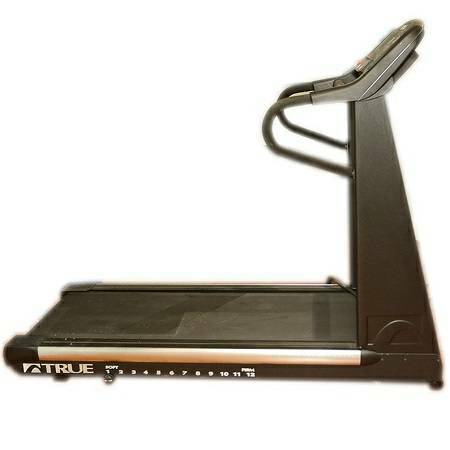 True 540 HRC treadmill comes with a 3.0 HP continuous duty motor that serves up speeds of up to 10 mph and inclines that reaches 15%. So it doesn't matter whether you're a beginner or advance runner, this machine can provide you the intensity you need. The 22 x 54 inch running space with Low Impact Orthopedic Cushion Belt is wider than units from the 500 series. It gives you even more room to move and be comfortable during your workout. Plus, with its magnificent belt and deck combination, this unit could very well provide you the best treadmill experience you'll ever have. This machine also features 4 pre-programmed workouts (Weight Loss, Speed Interval, C/V Workout, Hill Interval) with 9 intensity levels each and 3 customizable programs to give you more variety and flexibility in your exercises. A new facet that can be found in the 540 series is the S.O.F.T. select feature. With it, you can customize the softness of your treadmill to fit you more through 12 manually adjustable settings.